Race Brook Falls Trail, Southwest Massachusetts. This was our first hike on this trail in a long while without snowshoes or micro spikes. There were patches of ice in places but it was easily traversed without slipping. Race Brook was running high because of the snow melt which is just the way I like it. 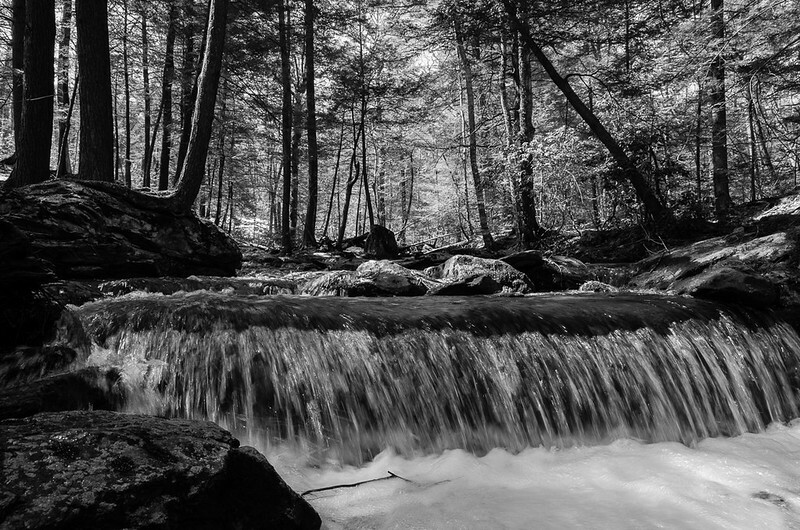 These two shots were taken on Race Brook above the upper waterfall which is about one hundred yards behind me. I’ve taken many images along this part of the brook when the water is high because it has just enough drop to create interesting micro-rapids and an occasional small waterfall. 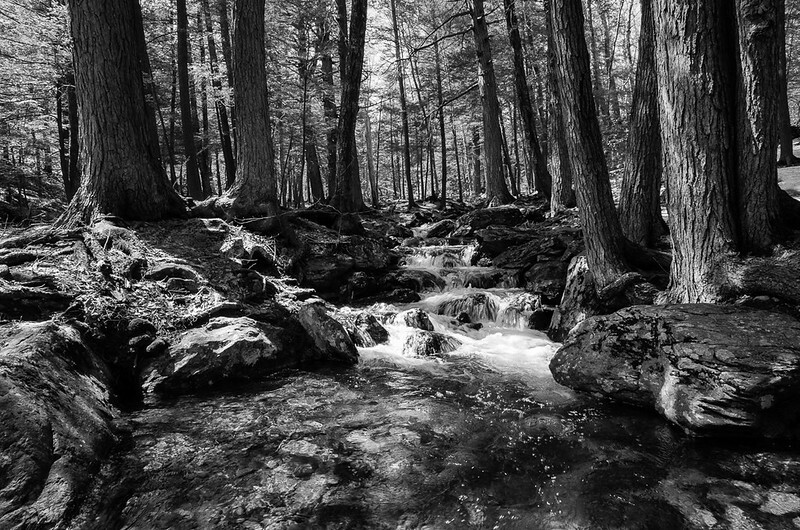 The Ricoh GR wide angle lens attachment helped create a more dramatic landscape by capturing the forest on either side of the brook. That’s one very excellent view of our beloved Race Brook Richard. The 21mm lens includes a great perspective of the forest! Thanks Gary. I’m pleased with it and while it makes the GR bigger and a bit more awkward to carry, it’s easy to snap on and off so one doesn’t have to leave it on all the time. I’ll put together a review of it at some point, I think it’s a very useful tool for landscape photographers but I can also see using it a lot in the city. It makes a great camera even more versatile. Great shots. Powerful and dynamic! Great work. Thank you Markus, I appreciate your kind feedback. I really like these, Richard. With 21mm the shots are like breathing more. Jonne: Good metaphor and I agree, a wider angle on these kinds of landscapes gives them more breadth and more “breath.” I need to do a comparison with 35mm, 28mm, 24mm, and 21mm. The difference sounds subtle between each one but it’s really not and landscapes like this make is much more noticeable.